Young sailor Jim dreams about being a heroic leader, but finds living up to noble ideals is considerably harder than he imagined when that involves putting his own life at risk. He is serving as First Mate about the Patna, a ship carrying scores of pilgrims on their way to Mecca, the night it begins to sink. The captain and the rest of the crew decide to abandon their passengers to their fates and escape in the lifeboat, and though Jim has the opportunity to be the heroic leader he dreamt of, he instead makes the last-minute decision to join his crewmates in the boat. The Patna doesn’t sink, however, and the passengers all survive to reveal the truth. Jim alone holds his hands up to what he did, and his crewmates are more than happy to let him take all the responsibility. Stripped of his rank and unable to escape the opprobrium, Jim slowly realises his dream may remain a fantasy. Every time someone makes the connection between him and the Patna incident he flees again, heading further and further east until he reaches Patusan, where nobody knows about him or the Patna. There, amongst the indigenous peoples, he can forge a new reputation, but the path to redemption is a particularly rocky one. It was unavoidable, reading this one, not to think about Joseph Conrad’s other big novel, Heart of Darkness, and not just because they share a narrator. In a way they are two sides of the same story. Jim’s wilful disappearance to a wild, remote country, becoming a trading agent in the heart of darkness, is not too dissimilar from Mr Kurtz’s similar course. But whilst both gain a new reputation because of it, their motives are quite different. If Kurtz is the face of unapologetic colonialism, then Jim is the face of colonial guilt. Conrad has been accused of being imperialistic, even racist, whether taken in context or out, but in neither novel can be found much positive about Europe carving up the ‘savage’ territories. 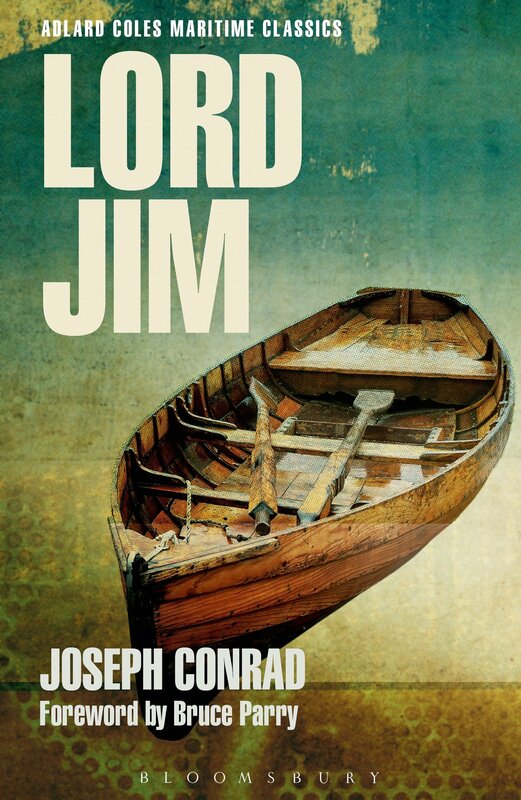 The villains of Lord Jim are clearly the self-serving whites, not the people whose lands they are there to exploit. Doctor Robert Kerans is part of a military mission into the heart of darkness. The mission has two aims. Firstly, to clear out any stragglers from the local population before the area becomes uninhabitable. And secondly, to map out the swamps and lagoons in anticipation of people being able to return one day. Meanwhile overgrown reptiles are flourishing in this jungle, sitting, watching and waiting until the people leave for good and nature can take over again. Though the story seems to be set in one of the deepest, most remote parts of South America or South East Asia, this is actually London, several decades hence. A catastrophic solar storm has led to prolonged global warming. The polar ice caps have melted and sea levels are still rising. Equatorial regions are already a dead zone where nothing survives, and the tropics are moving ever northward. Civilisation moves ahead of it, shifting to within the now-temperate Arctic Circle. The insufferable heat, tropical infections, solar radiation and isolation take their strain on the men on Kerans’s mission. Many start to suffer from recurring nightmares, and most bizarrely of all, they seem to be having the same one. Driven crazy, some of them start to wander off into the jungle. Kerans begins to believe these dreams are actually inherited memories, in the same way small birds inherently know that the silhouette of a hawk represents a threat. But with the whole world devolving back to the Triassic era, he’s curious what that will mean for man, who didn’t exist back then. Much of the story takes place in a lagoon where the dome of London Planetarium can be seen submerged in the deep swampy green waters. Though the novel has all the trappings of a post-apocalyptic story, it’s actually very much mid-apocalypse, even if most of the characters are in denial about that. They make detailed maps of the lagoons with the expectation that they will be useful in future, that there will be someone left to use them, but there’s a general sense that man is facing extinction. This is not apocalypse-as-spectacle, befitting an epic disaster movie treatment, but very much a look at the psychological impact of an existential threat. 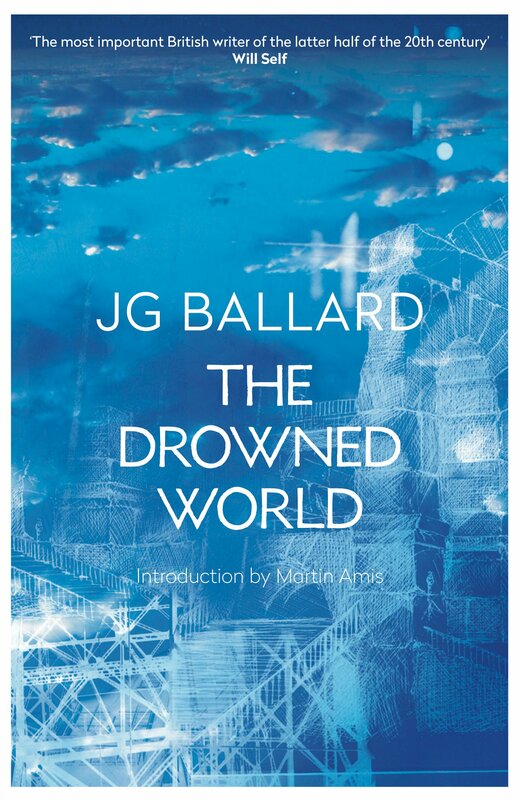 J G Ballard displays his love for Joseph Conrad quite openly, especially when some quite amoral characters (who have adapted a bit too well to changed circumstances) show up out of the jungle. His descriptions frequently suffer from being somewhat overwritten, as if he’s a bit too keen for his readers to imagine his settings exactly as he pictures them. But the result is a vivid world that doesn’t seem too surreal thanks to the dishevelled, flawed characters grounding it. Happy Hagfish Day! | Adlard Coles Nautical on Happy Hagfish Day!